An eight string model 4005 bass. 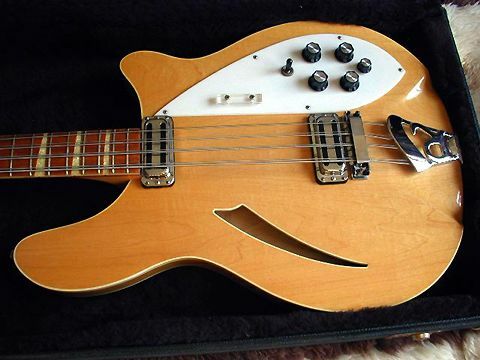 This particular instrument belongs to Oyama Katsuyuki who has a very fine collection of Rickenbacker guitars and basses. 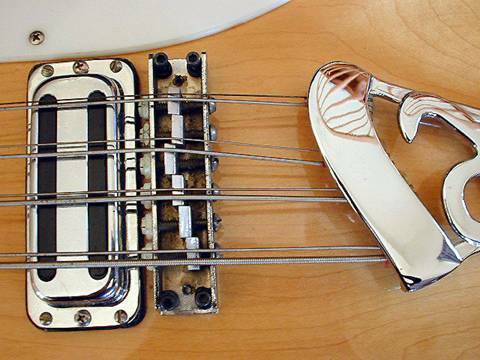 This bass is very rare and there were only a few made. The headstock is very different from other 4005 models. It's made to accommodate eight tuners. Kluson tuners of two different models. 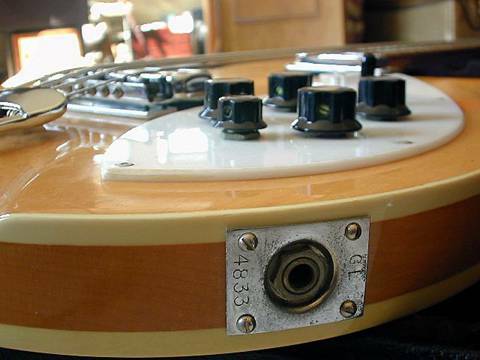 The bridge used on all 4005 models was the same. The model 4005/6 had a six saddle bridge as shown here. The model 4005 and 4005/8 had the same but with four saddles. 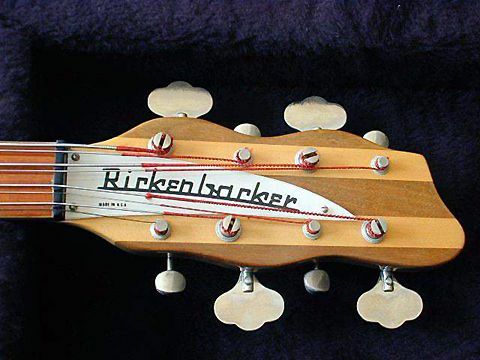 John Hall at Rickenbacker says: " - it was just a matter having the holes for the intonation screws placed in a different spot"
!! 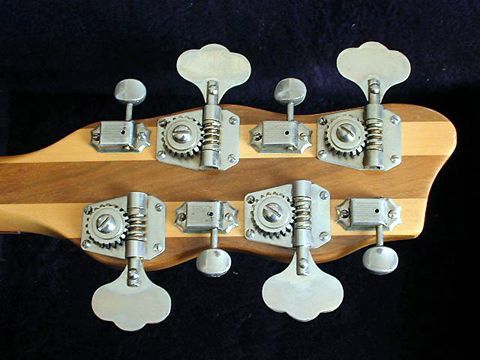 !The bass on the photos has a six saddle bridge. Maybe it was made like this after all or maybe the bridge has been replaced. 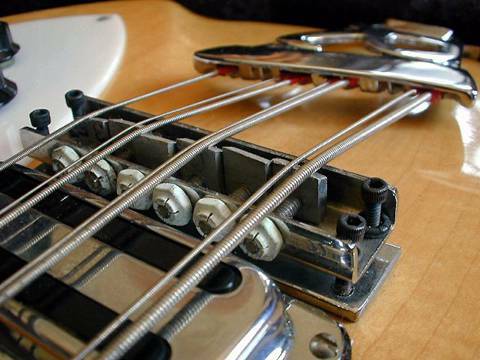 There are small traces after guitar strings on all saddles. I will try to find out.!!! Pictures shot on March 3, 2000 for Björn Eriksson´s Rickenbacker Page.